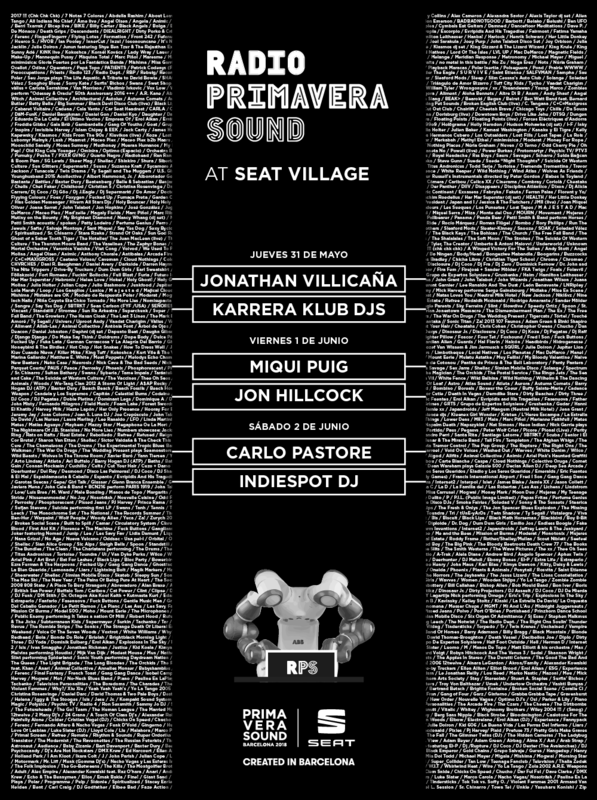 This year and for the first time, thanks to the collaboration between Primavera Sound and SEAT, it will not be necessary to wait for DJ Coco’s session to dance to indie and pop hits at Primavera Sound. Thanks to the Radio Primavera Sound stage this will be possible during the whole festival, during the daytime, at night and in the early hours of the morning. Within the framework of the new SEAT Village area, located next to the sea, with food trucks and spaces where you can relax, the Radio Primavera Sound stage will offer an alternative for all those who want to sing, jump and dance to their favourite hits. From the opening of the festival and till midnight, the music selectors of this stage will be the fans themselves, thanks to a spectacular interactive database of the over 2000 artists who have performed at Primavera Sound over the years, whose every track you will be able to play. From 1 am till the closing, the music will be provided by six DJs from different countries but with the same objective: to remember through hits the great pop, rock and indie anthems of the festival. Jonathan Villicaña from Mexico and Karrera Klub DJs from Berlin will be in charge of making everybody dance on the Thursday, the BBC radio DJ presenter Jon Hillcock and local star Miqui Puig (Pista de Fusta, iCat) will follow suit on Friday, and the culmination of the party on Saturday will be in the hands of the Italian DJ Carlo Pastore and of Indiespot DJ, directly from the Spanish musical web that is celebrating its tenth anniversary.